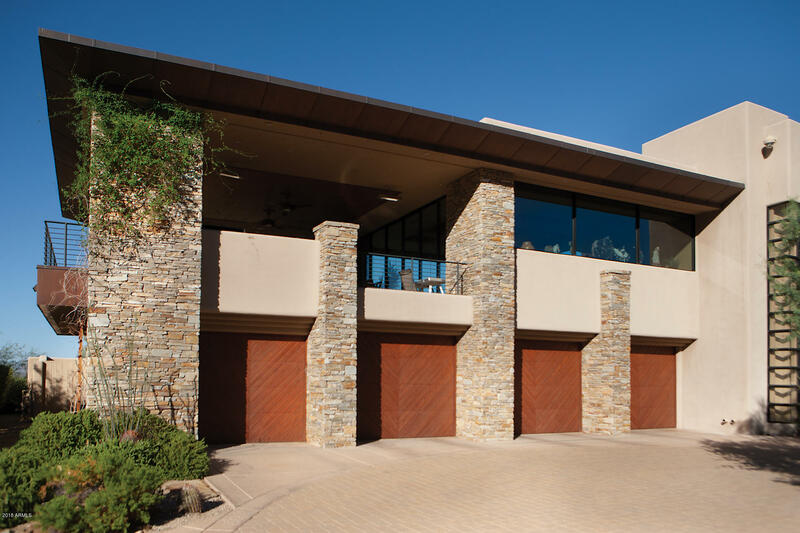 This award winning estate was designed by renowned architect Bing Hu to accommodate cozy private gathering to the most lavish affairs. 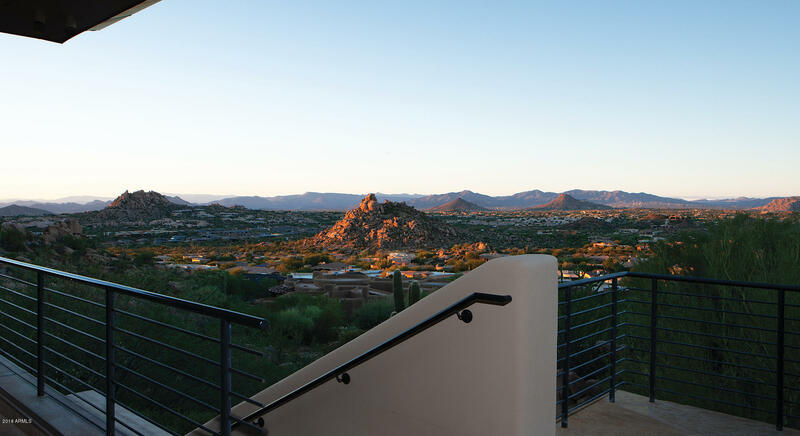 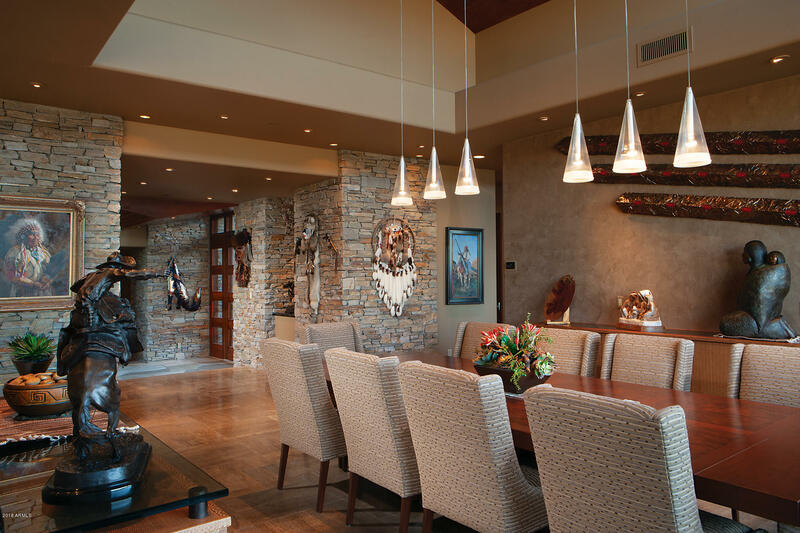 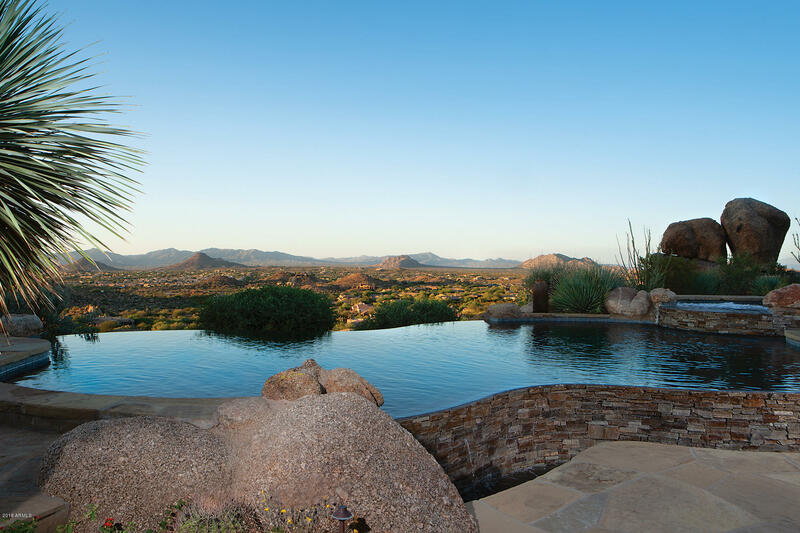 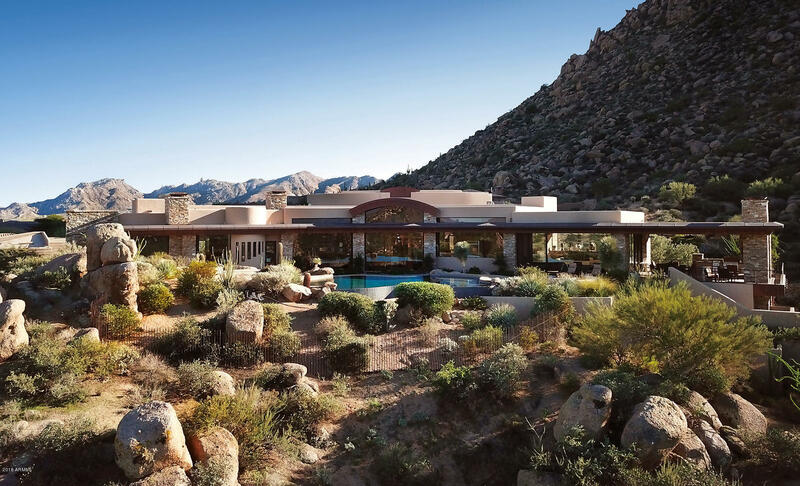 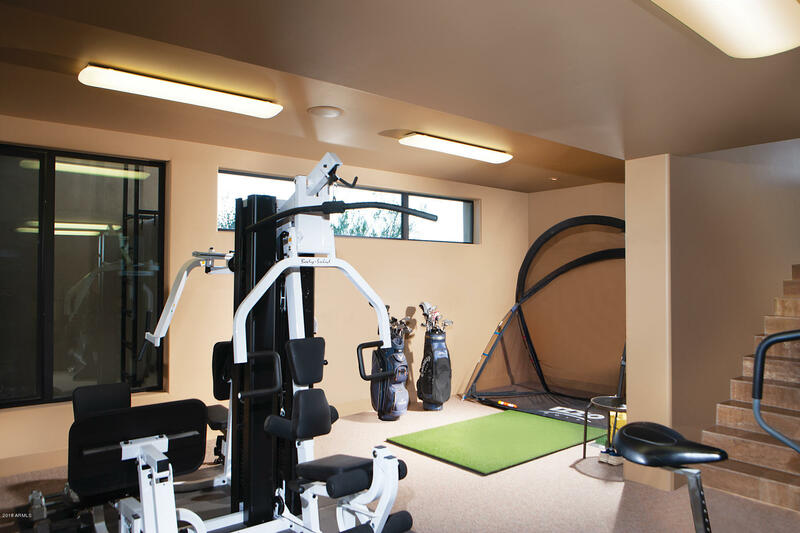 It resides on 6 hillside acres on Troon Mountain overlooking panoramic mountain, sunset and city light views. 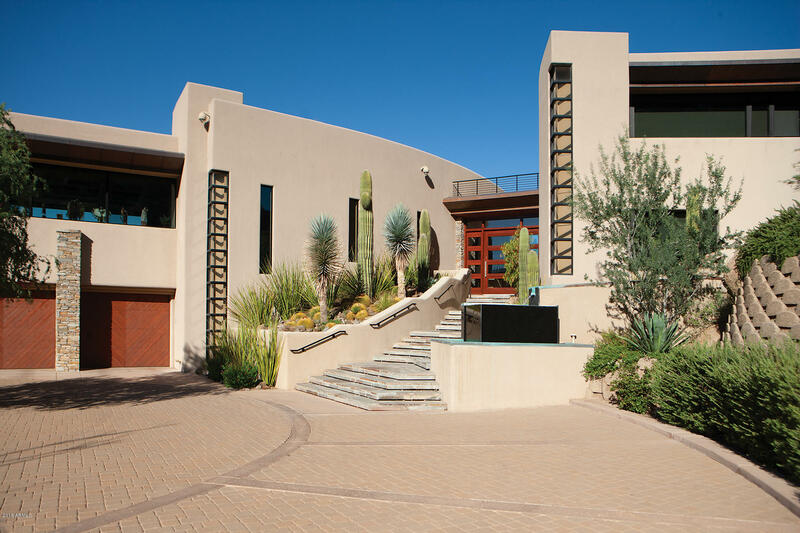 Enter through a its own private gated entry and romantic driveway leads to this exquisitely designed contemporary home. 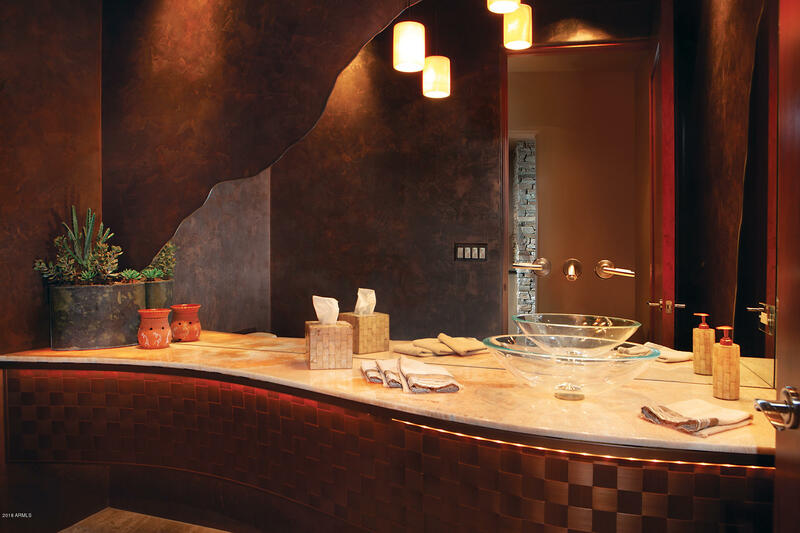 Every inch of this is filled with drama, high end finishes and attention to details. 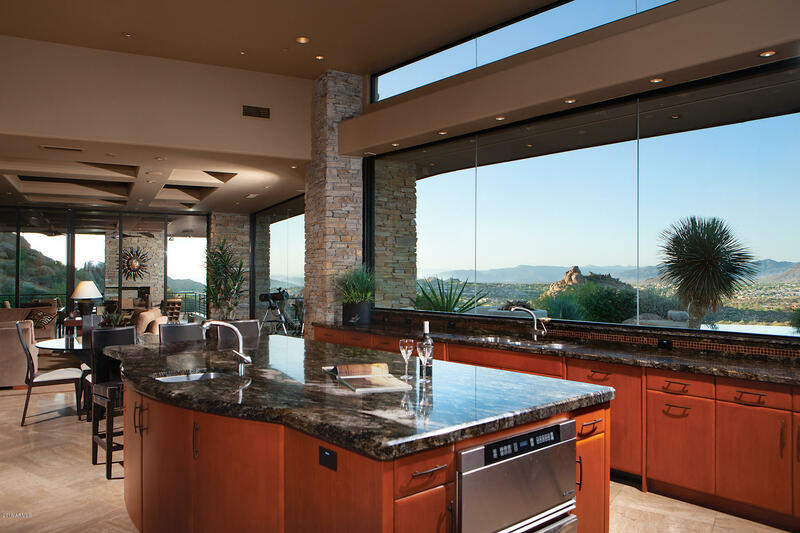 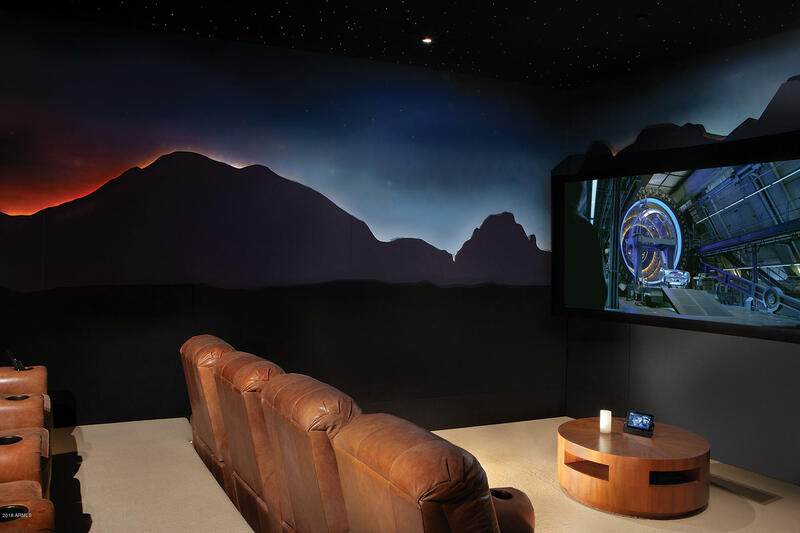 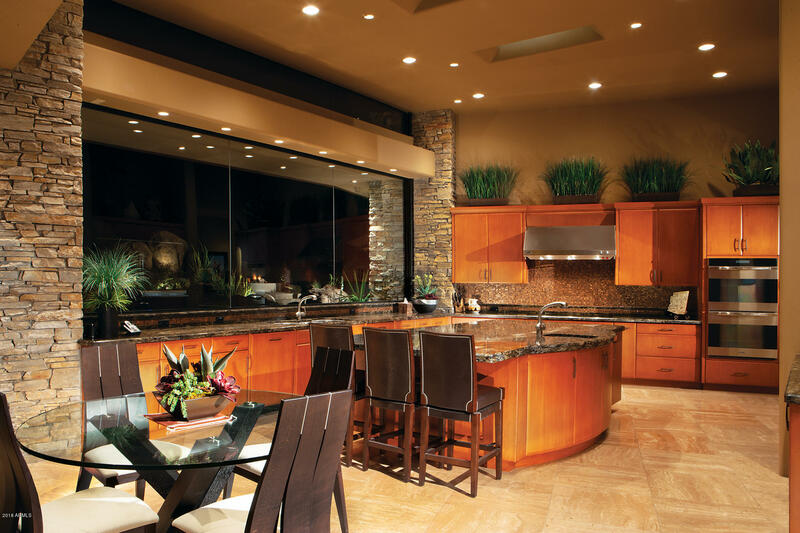 You will love the chef's kitchen, unique ceiling details, private terraces, fabulous home theater, the breathtaking views and the integrated home automation features that earned the Home of the Year award by Electronic House Magazine. 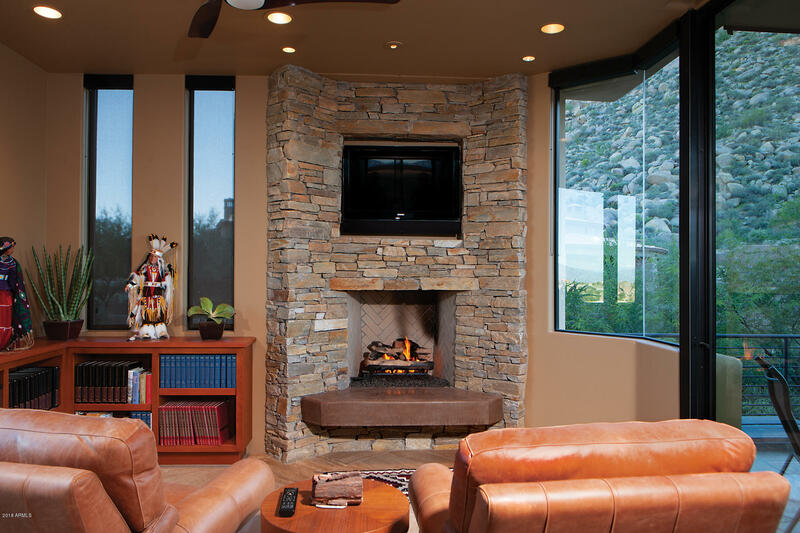 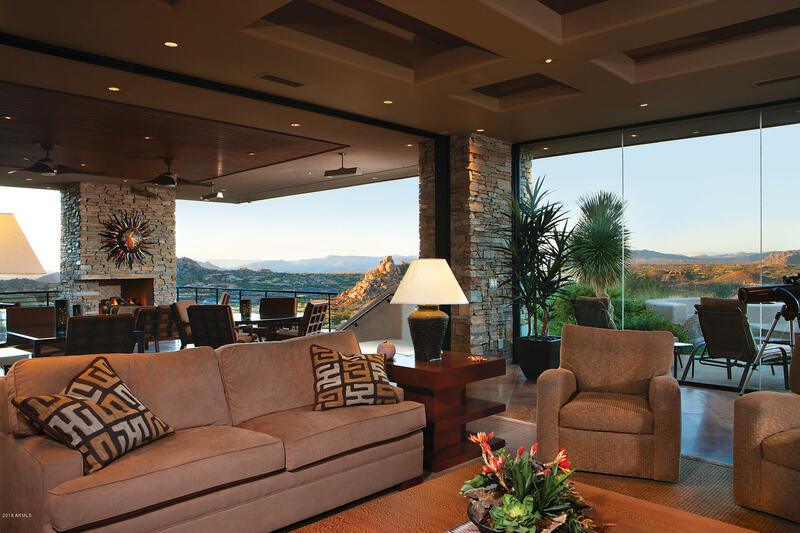 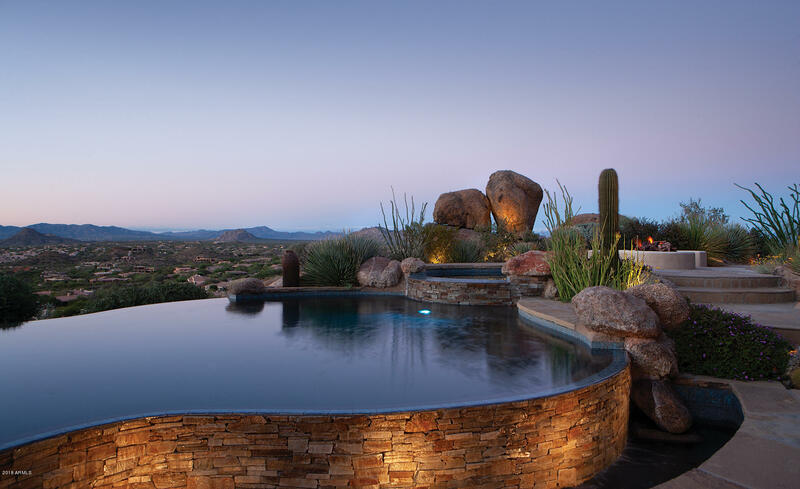 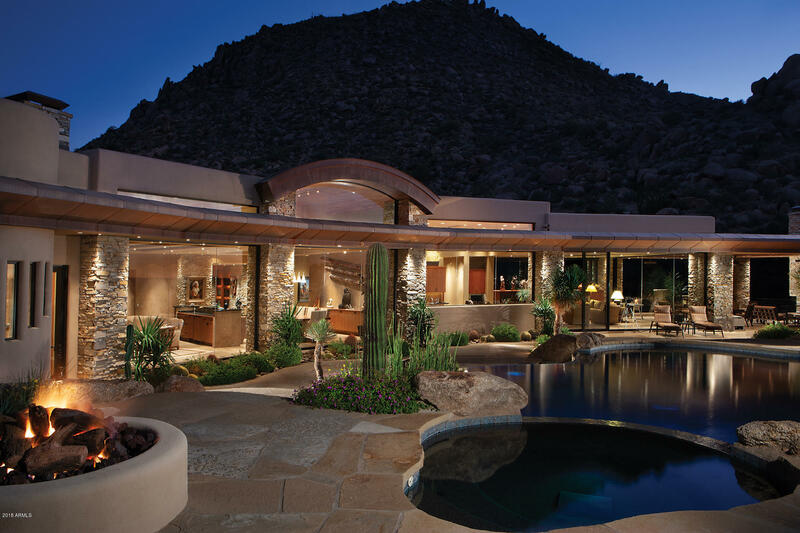 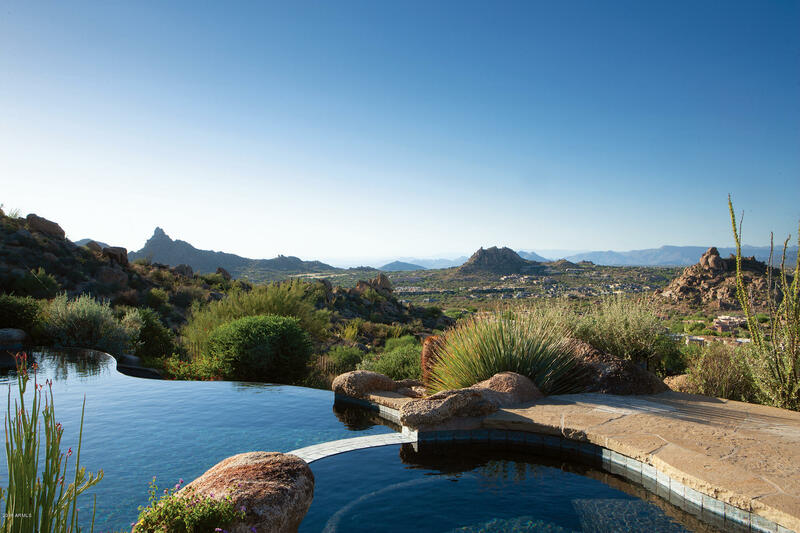 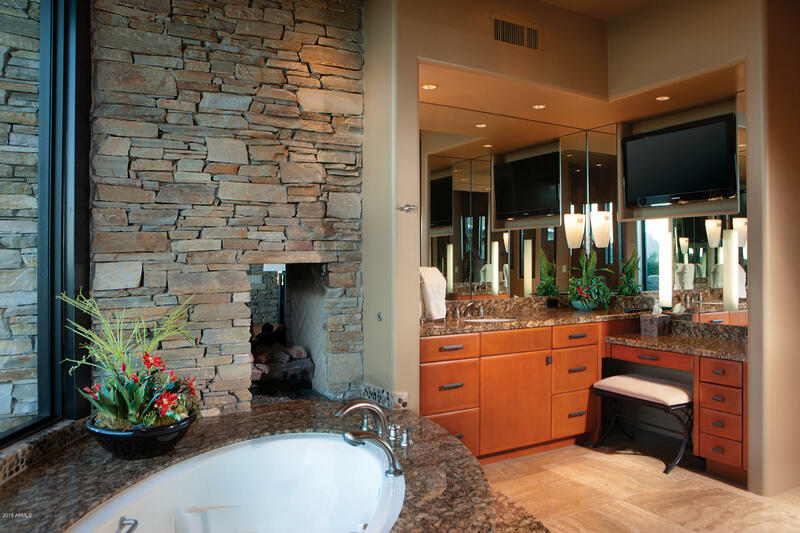 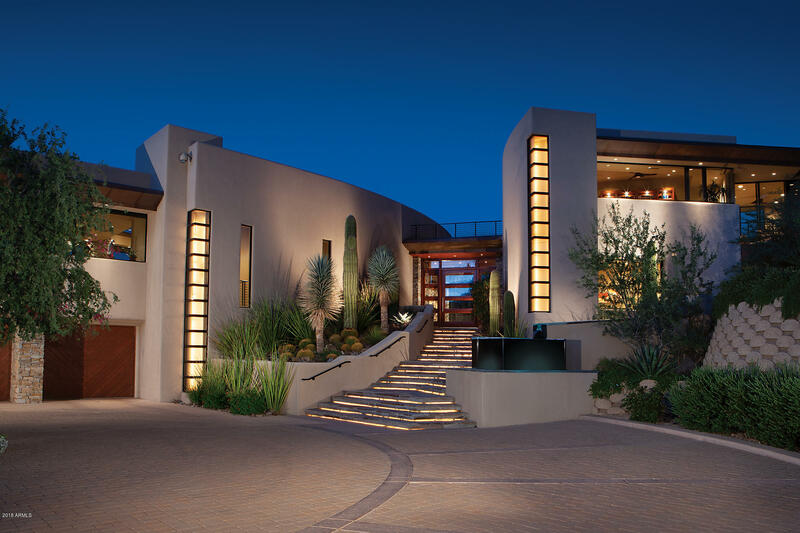 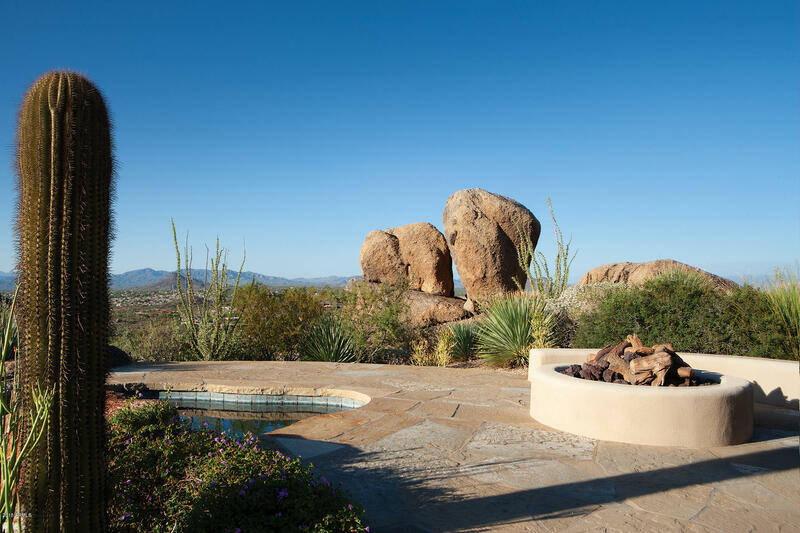 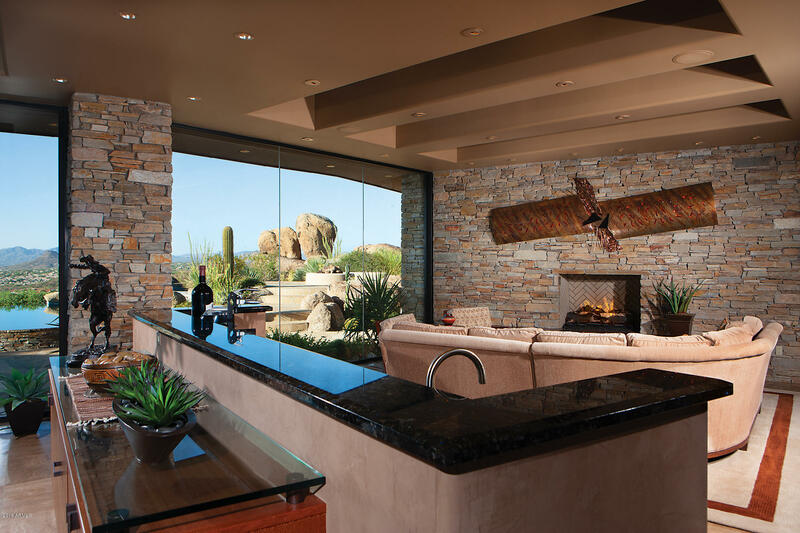 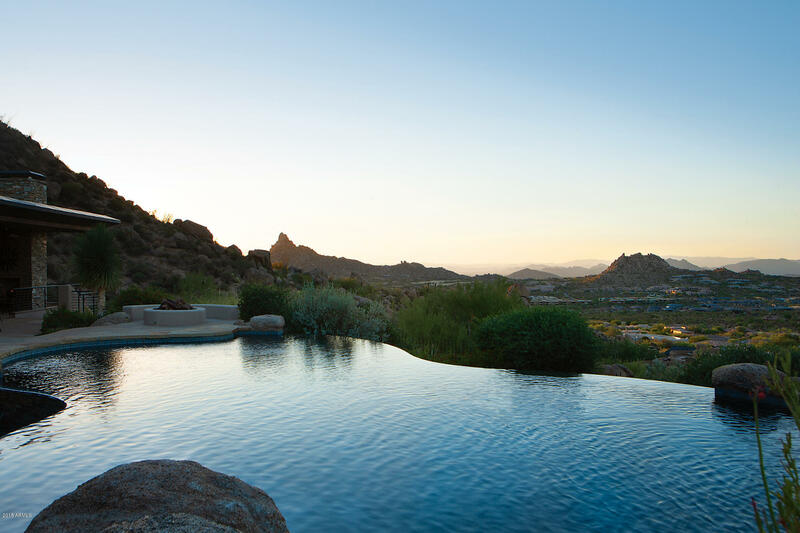 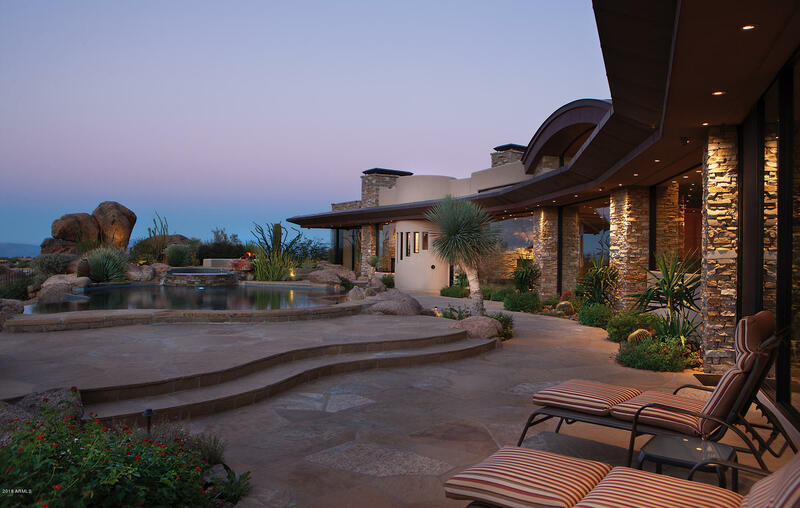 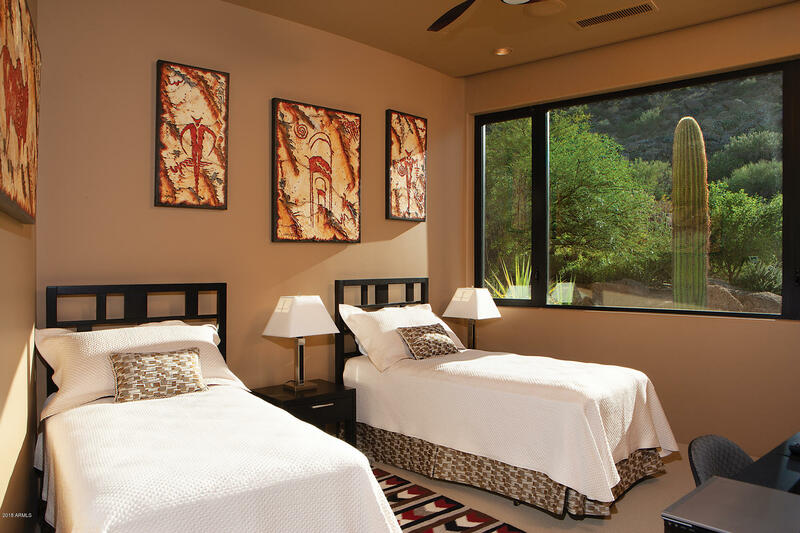 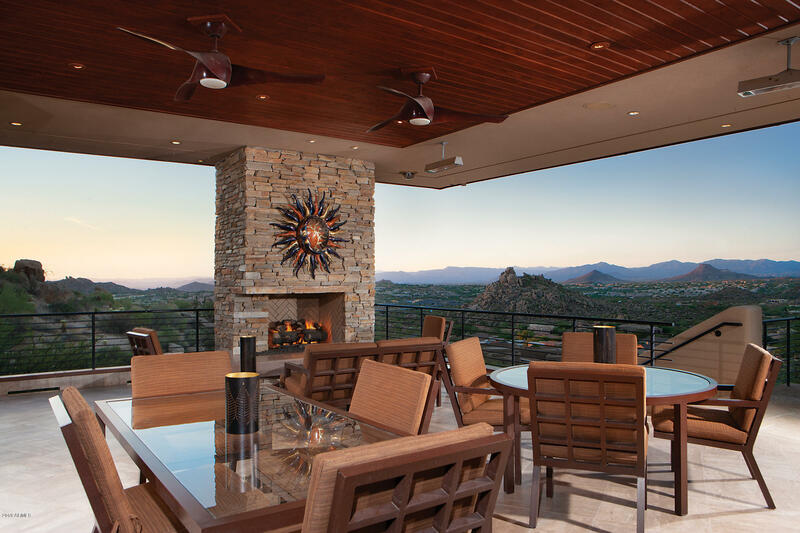 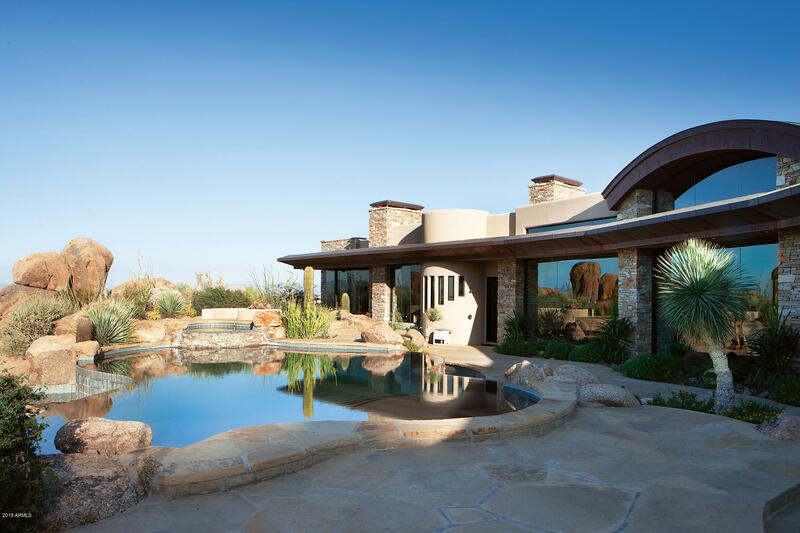 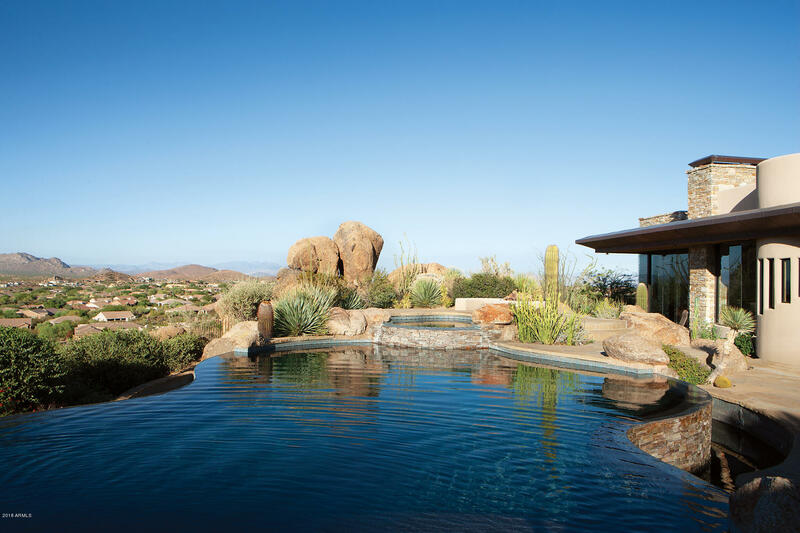 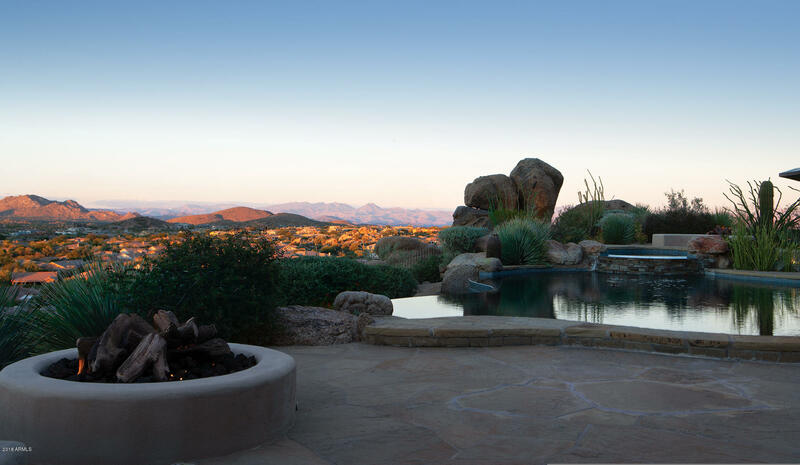 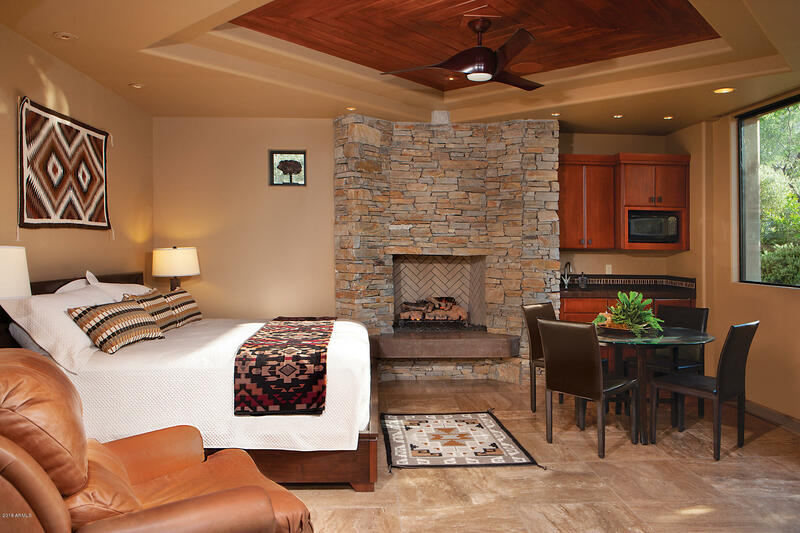 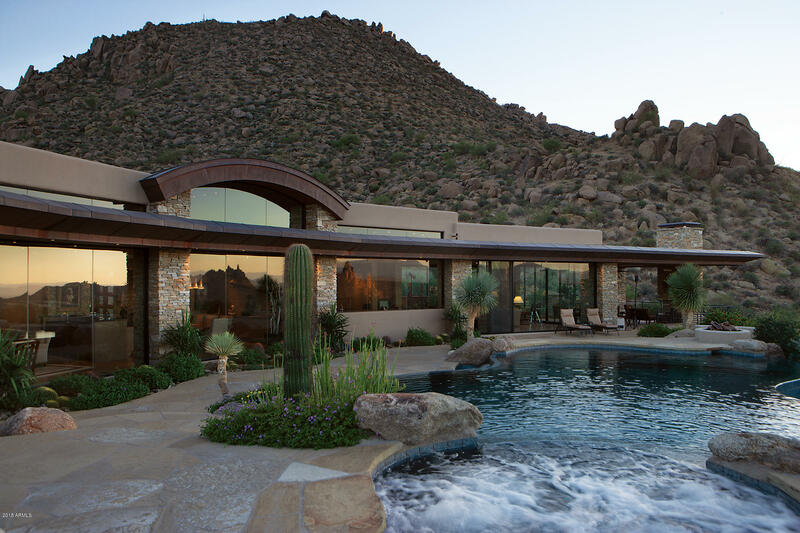 The covered patio, infinity pool, heated spa, 2 fire pits & 2 fountains all embrace the desert and mountain vistas. 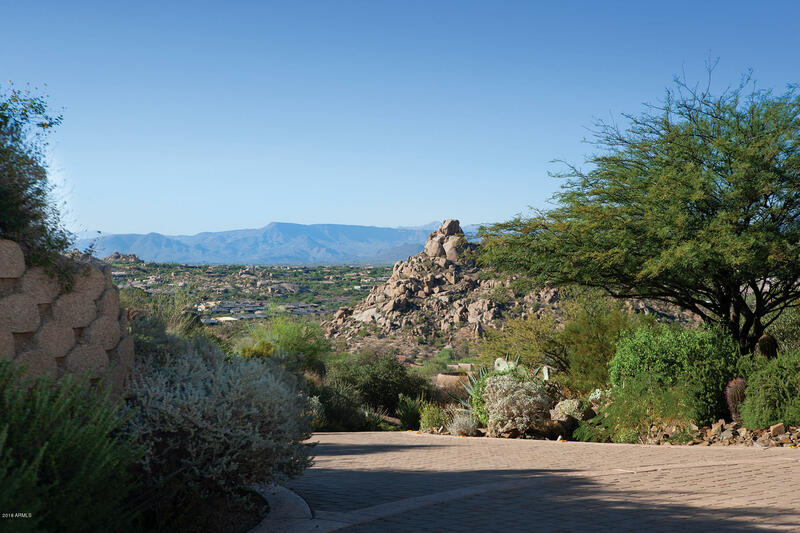 From Happy Valley Road and Alma School, continue East on Happy Valley to Windy Walk (2nd street on left/north side of street), North to Guard gate for directions to property.